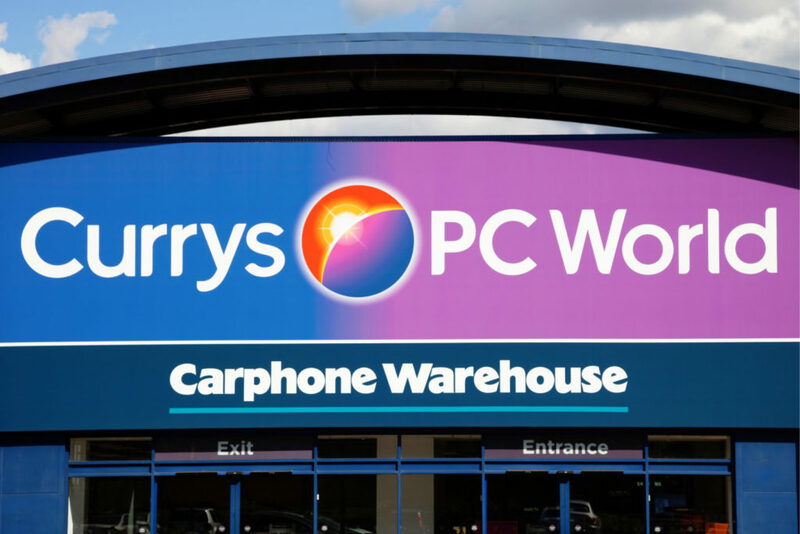 Currys, PC World, and Carphone Warehouse may all be part of the same group, but each brand has its own returns policy. Currys sells electronics and home appliances, while PC World has more of a focus on computers. Carphone Warehouse obviously focuses on mobile phones. When you order from Currys, you are agreeing to their individual terms and conditions of purchase. You can read the following guide to learn more about the Currys returns policy. You can return a purchase to Currys for an exchange or refund within 21 days if you change your mind. Currys will accept the return if you did not open or use the item and it is in its original packaging. Under a separate policy, you can still return items within 14 days even if you opened them to inspect the goods. They must be in a good-as-new condition with all accessories or free gifts. Seals on software and products such as CDs, DVDs, and memory cards should remain intact, however. If a seal or the silver strip on an Activation Key is removed, even partially, Currys will not accept the return. You will not be able to get a refund without proof of purchase, if the products were a custom specification, or if you have begun to use a contracted service (like a phone subscription). You must have a receipt. There are multiple ways to cancel or return an order from Currys. If you change your mind before receiving your order, then contact Currys. You can request a refund or exchange if it is not too late to cancel. If it is too late, then your order will already be on its way to you. When it arrives, you will have to return it using one of the methods on this page. If you contact them in time, then Currys will process the cancellation. You can still discuss what to do about a refund or exchange if it is too late to cancel your order. Please note that you will not be able to cancel an online or telephone order in a Currys store. Have the order number ready to speed things up when you get in touch. When you purchase an item from a Currys store, you need to return it to a Currys store. The store can process your refund on the same day, so it will be faster. You can also return items from online or phone orders to a Currys store. Find the closest store here by entering your postcode. You can return goods within 21 days, or 14 days if you open the packaging. You must not install anything or input any data to be able to return products. Present your original sales receipt, the online order invoice, or a bank statement as proof of purchase. You will not be able to return large kitchen appliances instore, so contact Currys to arrange a collection. If you paid for your order via PayPal then you will only be able to get an exchange or gift card instore. You cannot return instore if you paid with Your Plan Credit. When you order online for home delivery, you can arrange a free collection to return it for a refund. To do this, send an e-mail to customer.services@currys.co.uk with your request and the details of your order. The same time frames and product conditions apply to returns as mentioned above. You can also arrange an exchange or repair online if there is a problem. They will respond to your request as soon as possible to confirm the return. When you purchase large kitchen appliances or software activation key cards online, you cannot return these to a store. You will have to contact Currys if you want to arrange to return one. The same applies to any online-only product not sold in stores. If you want to arrange a return over the phone, then call 0843 208 5573. This is only possible if you ordered online or over the telephone in the first place. It may be possible if a store had to place an order for you using the website. Have your order number and delivery details to hand when you call to arrange a free collection of the order. It may be easier to sort out returning a product this way if you cannot get to a store or contact Currys online. When calling this number, press 3 for other enquiries. Then press 3 again for online and phone orders. Finally, specify which type of item you are calling about. Press 1 for large items like fridges and televisions, or press 2 for smaller things such as cameras or laptops. Collections and availability will vary depending on the size of the product you are returning. Contact Currys if your product develops a fault within 30 days of purchase, delivery, or installation. Currys will offer a repair, exchange, or refund at this stage. If the fault occurs during the product guarantee period, which is usually 12 months, then they will offer a repair service. Their actions will depend on an inspection of the product and their verification of the fault. This is for manufacturing faults only and does not apply for accidental damage or general wear. You should check items for damage upon receiving them and get in touch immediately if anything is missing, incorrect, or broken. You can use any of the return methods to sort out a solution for a faulty or damaged product. Once Currys receives the goods that you return to them, they will issue a refund for their value. This includes the delivery charge, but up to the cost of standard delivery only. If they think that you have mishandled the goods, then they can deduct some of the refund. Refunds will take 3 to 5 working days to return to the original payment card you used. If you paid with PayPal, they can only issue refunds through your PayPal account. This cannot be done in stores. If you do return something to a store, then you must be able to present a receipt or invoice for it in order to get a refund or an exchange. Currys might not refund delivery charges for a returned order if the item wasn’t faulty.